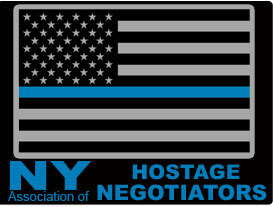 The New York Association of Hostage Negotiators and the Canadian Critical Incident Inc. are excited to present a one day seminar Tuesday, March 1, 2016 located at the Marriott Niagara Falls Ontario (more info to follow on hotel pricing and location). This seminar is a must for Incident Commanders, Tactical Officers and Crisis Negotiators to enhance their knowledge and skills in dealing with the radicalized home grow extremist. Law enforcement in the United States and Canada is becoming increasingly complex and challenging. The threat posed by those with extremist views present new and complex problems to law enforcement agencies. This seminar will provide subject matter experts to provide you a deeper understanding of radicalization and extremism and the risk to public safety it presents. The seminar will also be presenting compelling case studies, where incredible skill, knowledge and tolerance were demonstrated by the critical incident command team. The price for the seminar is $100 Canadian or $85 US. To register, contact President Sam Farina at ssfarina@aol.com. An invoice for payment will then be forwarded for payment. Hurry - the training is limited to 200 attendees.